I never knew that I could make my own soda at home until I discover this cool machine. 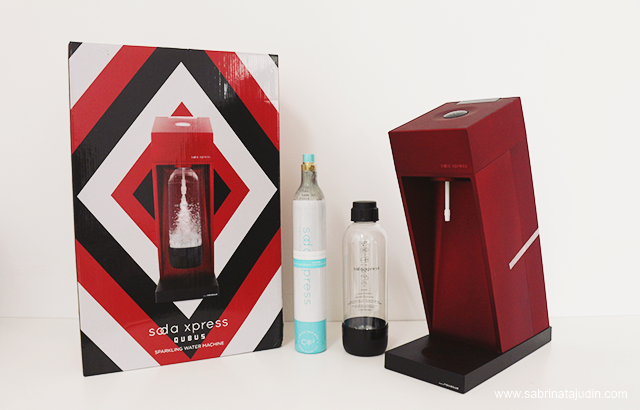 This is the SodaXpress SQUBUS Starter Kit. 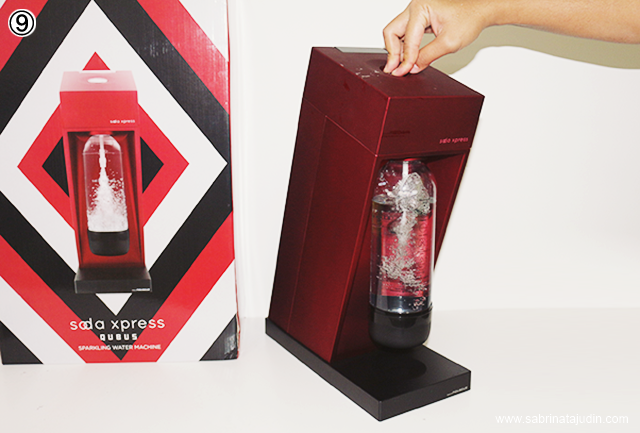 SodaXpress is the 1st Sparkling Water Maker in Malaysia. It does not require wire and operates by it self in just a single push of a button! It is design to give your home a style and fits perfectly in your home space. 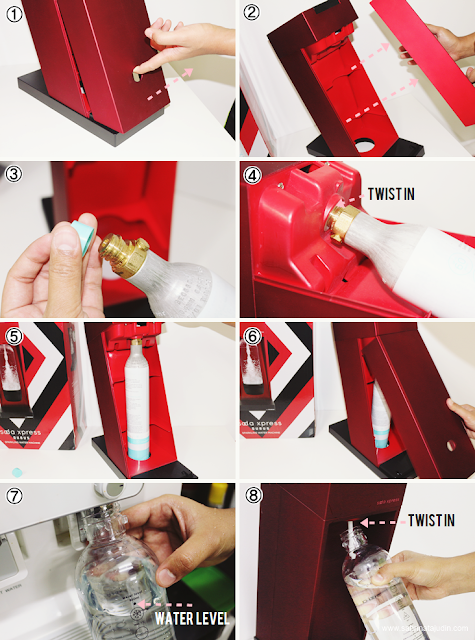 In this kit its includes The Sparkling Water Machine in Burgungy Red, one Carbonating Gas Cylinder, one Carbonating Bottle (to be filled with your own cold water and fizz up using this machine). This machine also comes along with a 1 year Warranty. So here I will show you on how easy it is to assemble the machine and use it straight away! 2. pull it out. Put aside first. 3. Open the Carbonating Gas Cylinder Cap. 4. Then twist it inside the attachment that is located on the top part inside the back of the Machine that you opened just now. 6. Close back the cover. 7. Fill in some cold water in the Carbonating Bottle until the shown water level mark on the bottle. My own quick way to make my own sparkling drink is just use a ready made cordial syrup and simple mix it with the carbonated water we made just now. It taste so good! One thing good about this is that you can control the sugar level of your drink but still taste good just like the soda your bought from the store that actually not good for your health. You can make your own Detox/Infused drink with real fruits with a sparkling twist with this machine.